John has been gold prospecting for eight years, mainly in the Bradshaw Mountains, Yavapai, Arizona. The American Eagle is, in my opinion, the most beautiful silver coin in the world. 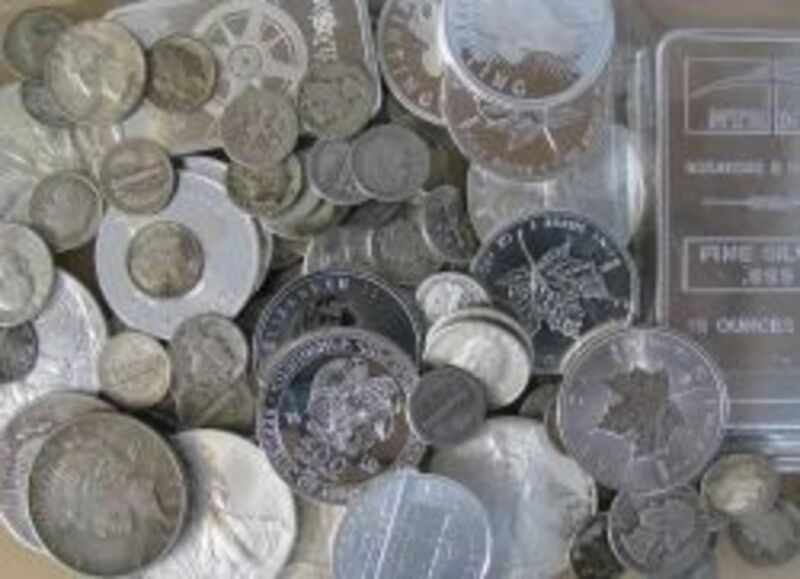 It is the most commonly purchased of all silver coins in the world. The United States Mint at West Point struck 25,480,500 silver American Eagles for the year 2010 as of September 30, 2010. The 2009 production stood at 30,459,000 American Silver Eagles. So, as you can see, these are popular bullion coins! 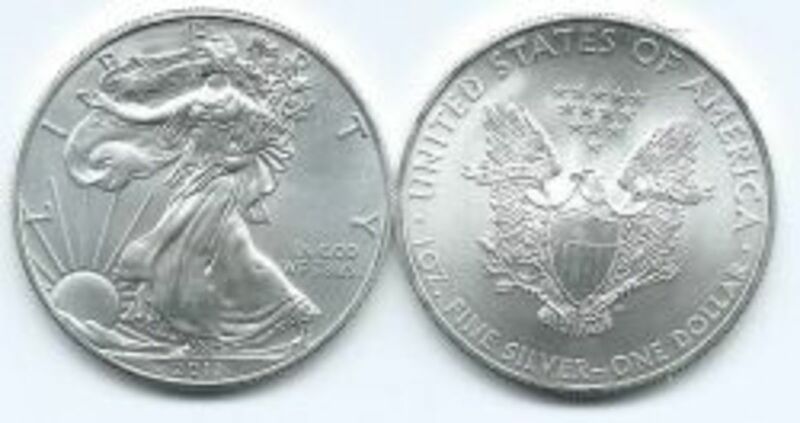 The Silver Eagle is marked one dollar, but its 0.999 pure troy ounce of silver is worth much more. The front sports Walking Liberty, an engraving famous throughout the world by Adolph A. Weinman and the back features John Mercanti’s powerful heraldic eagle with thirteen stars. Go ahead, compare it to pictures of other one-ounce silver coins. I bet you will agree it is in its own class. Why Silver and Why American Silver Eagles? 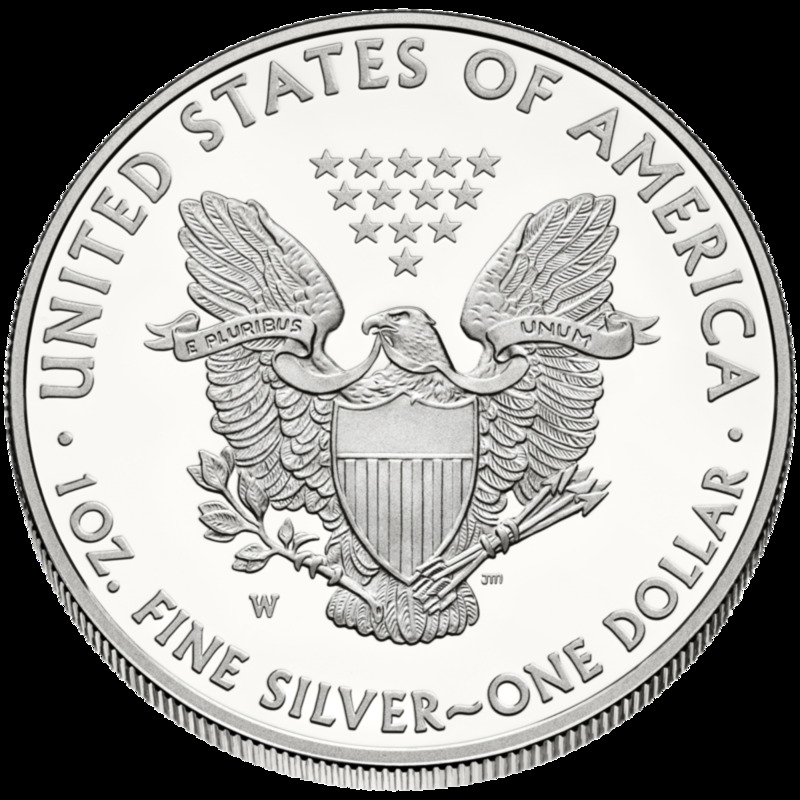 There are many reasons for the popularity of silver as an investment, and American Silver Eagles in particular. 1. One reason is that with the economies of the world (for the most part) struggling, people are looking for a "safe haven" for their earnings. Paper currency can lose its luster. During hard times, if worse were to come to worse, people could trade precious metal for goods and services. The recent threat of depression has increased that desire, hence the great popularity of the Eagle coins this year. These individuals feel more secure holding silver in case the economy suffers a big drop again and paper currency becomes devalued. Others, who don't have such a pessimistic outlook on things, like to hold a little silver for other reasons. Perhaps the government would call a "bank holiday" and people would not be able to access funds for a short period of time. In that case, silver dollar coins would be accepted as money in an emergency. Still yet, the response to the downward spiral in economies has been universal. Central banks around the world have decided to lower interest rates in an attempt to stimulate their markets. 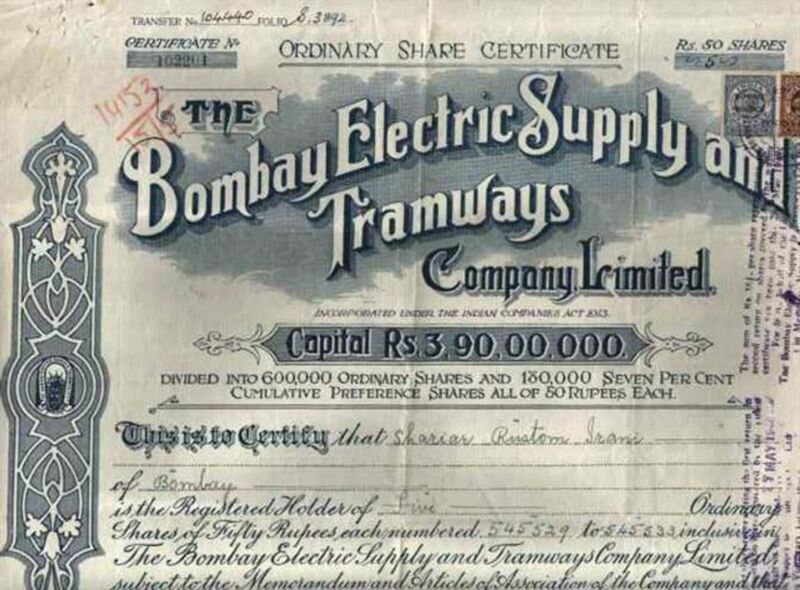 They have also entered into agreements to purchase bonds (private and public) to prevent a free fall in their value, but the purchases have essentially resulted in the creating of more currency, either in physical form or as computer entries. "Quantitative easing" is the jargon used to describe such actions. "Easing" has the side effect of drying up many investment options whose yields drop dramatically. Many average Americans who took a beating in the stock market crash and who are not inspired by the market these days (daily volume in the markets is way down) look at precious metals (gold and silver) as their only place to put new money. So, this is merely another way for people to look at eagles as a hedge investment. Note: precious metal bubbles can pop, and it is possible that these people would actually lose money on their silver if metal prices went down. 2. There is also great fear that an increase in the money supply will decrease the dollar's value and hence encourage inflation. When too many dollars in circulation and a growing economy put pressure on suppliers, they raise prices and we get inflation (rising prices). This results in the average citizen being able to purchase less with his money. Wages have always lagged behind price increases. Spiraling inflation (Germany and Argentina, for example) can leave citizens with far less effective money. So, with this scenario in mind, individuals buy American Silver Eagles as a storehouse of value, something that can keep up with inflation. It may seem strange, but we have people of two minds in these days of less stable markets: those wanting a defense against inflation and those who are looking for any investment alternative to the stock and bond market with a decent return. Silver Eagles make them both smile. Since precious metal can be produced (mined) at a rate within limits, and there is a finite amount available at any particular moment (you can't print silver), it has the unique characteristic of being able to rise with inflation, or even increase in value beyond the rate of inflation. 3. There is a third group of people who fear deflation. With deflation, assets that have bubbled higher, beyond reason, go down in price. We have seen this in stocks, bonds, derivatives (bundles of mortgages, insurance against lost value in bonds, etc), and real estate. But the asset classes that can be manipulated higher in value appear to be disappearing. Still, gold and silver hold their luster, with most analysts shouting that based on economic growth and the value of the dollar, gold could go up two times its present value, and silver up to fifteen times. Who knows? But a lot of people agree with this view and are stepping up their purchases of Eagles. In recent years, efforts have been made by central bankers to keep down the price of gold and silver. One way to do this is to periodically sell huge quantities from their treasuries. Supply determines demand. If a lot of silver is available, price goes down. But this is a temporary way to keep its value down. 4. Some want silver as a hedge against a complete failure of the currency system. In a deflationary crisis where individuals, businesses, and governments go bankrupt, silver again has value as money. It can be traded for goods and services. So this marks a fourth group. They are convinced that U.S. currency will become TOTALLY worthless due to a collapse of the capitalist market system. To them it is better to have silver for barter than paper bills. Others argue that food or ammunition would be the prime source of value under such circumstances. But that is for another article. 5. A fifth category of person buys American Silver Eagles: collectors. There are some Eagles in various conditions that are worth a great deal of money for numismatic (as collector pieces) reasons. Collectors bid the prices up. An example would be a 1988-S Silver Eagle in a high grade of condition that can go for $500, 1997-P for $152, or 1998-P for $450. There are many more examples of other Silver Eagles appreciating much more highly than bullion Eagles (Eagles whose value is solely related to silver content). 6. LIke me, many appreciate American Silver Eagles because of their beauty. If you would like to give a person a super gift, a Silver Eagle can be perfect. The shine on an Eagle is a lovely thing to behold, and at present prices for bullion, an individual can purchase one on Ebay, at best, for around $26. I especially like to give them to children in the family (in the care of their parents until ready to be shown again). It is something that will always have value, and the way things are going, there is a good chance it will be worth more than $26 in their lifetime. Someday it may come in handy for them. What could be better than knowing someday a nephew might say, "I got that from Uncle John when I was ten years old." In fact, American Silver Eagles make nice presents for anyone if you know them well. Now, that is not all I give for presents, but one for each child is appropriate for me. Luckily? we have a small family :) . Silver Eagles come in plastic holders, either cases or small envelopes, to keep them in un-circulated condition. There's nothing worse than seeing an Eagle with fingerprints all over it. 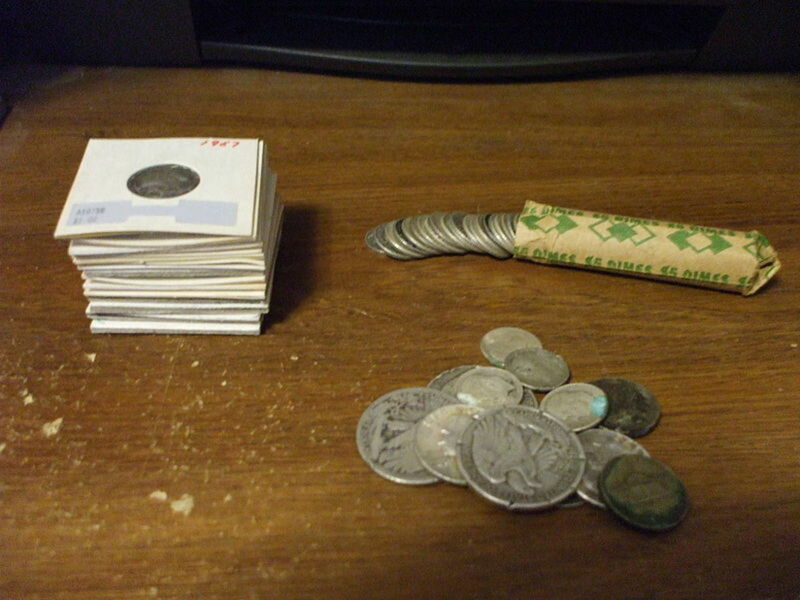 If you get a mint tube of twenty from an authorized dealer or bank, the coins can be removed and placed in cases before delivery. All coin shops carry them. Warning: twenty Eagles will run around $520 at current rates. Ouch!! I find buying Eagles on Ebay is very convenient and if you watch the auction you can get the Eagles for a few dollars over spot price. 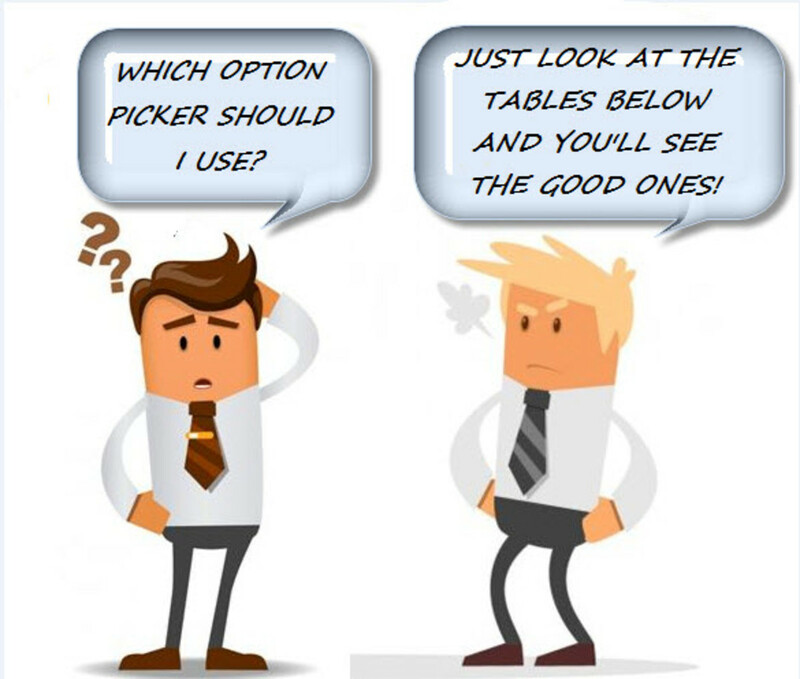 You need to know what you are doing; it's especially important to look at a seller's feedback. If this sounds too risky, just go to your local coin store - some jewelry stores and pawn shops have them, too. 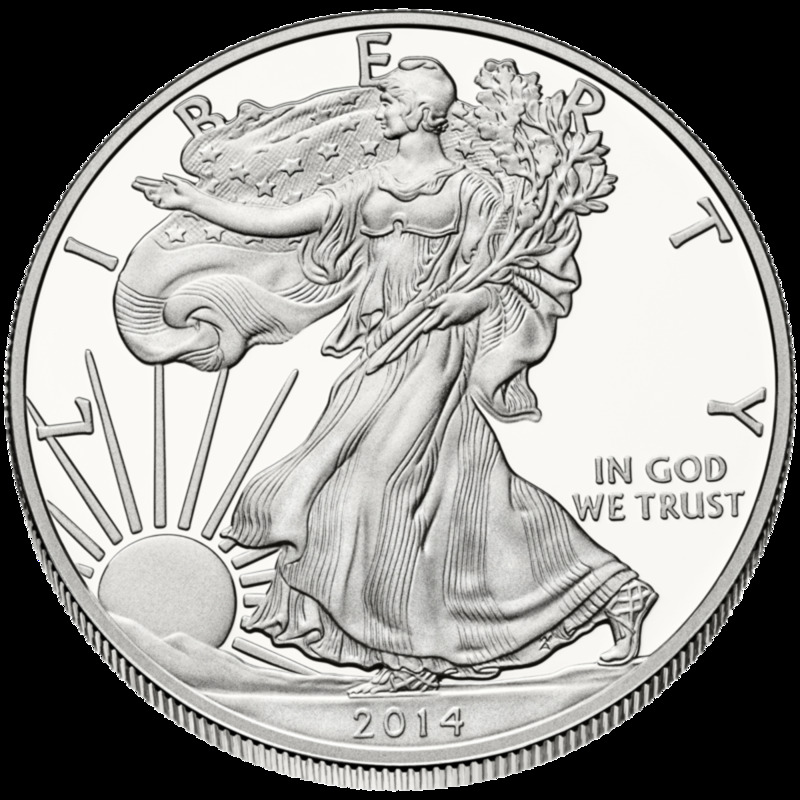 So here you have read about 6 reasons people buy American Silver Eagle coins. All of the reasons have "security" as an underlying theme. If you have a reason for wanting to gather a few, dollar cost averaging is a good way to go. All this means is that you buy a coin periodically, say, every 3 months, over a long time, buying at highs and lows, with your average price giving you a great chance of making a nice profit someday. If you aren't interested in saving silver, that's OK too. There are plenty of arguments out there for not hoarding precious metal. But there is one thing there isn't a lot of argument about. It will be a long time before a silver coin is designed that is more beautiful than the American Silver Eagle. Whom do you buy silver dollars from? What is the 1979 silver dollar worth? I found this chart on the Internet. It is my understanding that the only one dollar coin minted in 1979 was a Susan B. Anthony, and it is not made of silver. Yep, as long as the world values it, it can be spent. Thanks for the comment. I like to think of precious metals as a worldwide currency. GNelson, I agree. It would be difficult to produce a more enticing coin. I wish I had more of these coins. They have great look and feel. Agree that the silver Eagle really is beautiful!! Silver really is more precious than gold. Thanks for the comment. You are probably right about the future of precious metal. My feeling is if you put a little away, how can it hurt? 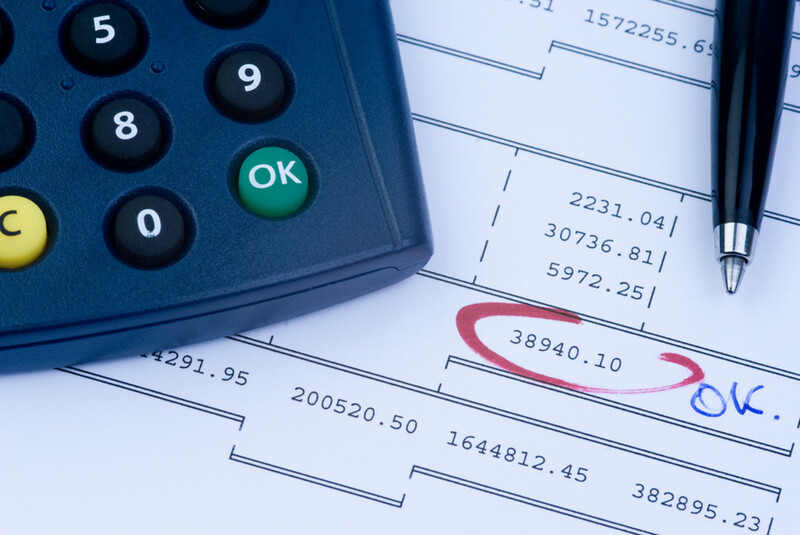 These are rapidly changing times we live in, and I must say that the last few years of financial disclosures have left me shaking my head in disbelief. I myself had a similar hub, not as well presented as this but with a somewhat different main idea. Great topic to bring awareness to! Silver value is the fastest rising and most overlooked form of wealth and currency in the world but notice is being made of late! The value of silver is up something like 70% in recent times and with the spiralling economics worldwide precious metals are going to be of great value and maybe even a "survival" tool if worse goes to worst!